On June 26th, Freedom Alliance hosted 165 Marines from the 7th Marine Regiment from Twentynine Palms for a Troop Appreciation Dinner, one of the scores we host throughout the year. The dinner was held at Ruth’s Chris Steak House in the resort town, Palm Desert, which gave these infantry Marines a very special experience. This year’s dinner hosted twice the number of Marines and spouses that the dinner held by Freedom Alliance last year, and it was a great honor to host so many fine young men and women. 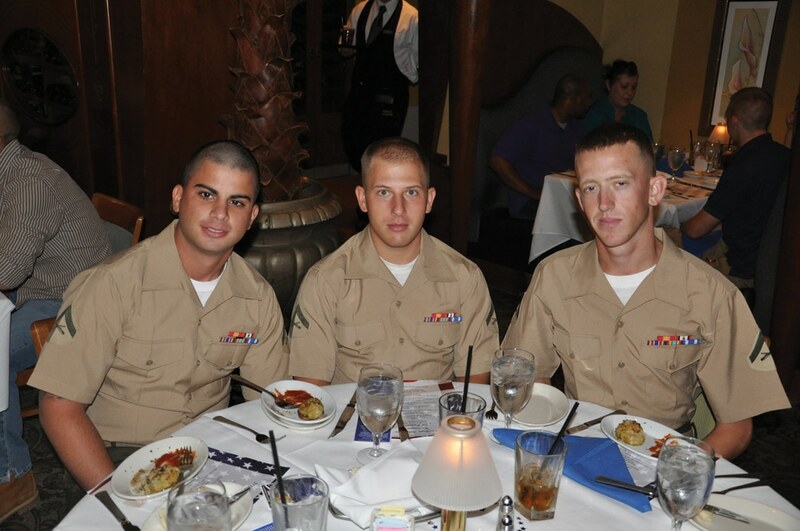 As several Marines were preparing for immediate deployment, this dinner held special significance. One couple was preparing for a transfer to Japan, and they were thrilled to have one more American meal before their departure. “What a wonderful event for the Marines! Heartfelt appreciation for all you do, Freedom Alliance,” wrote the wife of one Marine. “Awesome! Thanks Freedom Alliance for arranging this wonderful meal for the Marines and their guests. Great choice of restaurant, great food and staff!” said SgtMaj Acosta.